We finally have the answer behind the secret HTC and Sprint were keeping so close to the vest, although we already had a pretty good idea about what to expect. Now that things have settled down, it’s time to take a deeper look at what the EVO 4G LTE has to offer for Sprint customers, including a breakdown in specs and important features — such as the kickstand. Really, though, this is a huge win for both HTC and Sprint. The device will be the first HD voice-capable phone announced on any U.S. carrier, promising better voice quality with virtually no background noise. A “more natural-sounding” voice that’s “less fatiguing,” Sprint said in a press release. As we mentioned in our liveblog, HD voice will be a combo of dual-mics, encoders, decoders, and Network Vision technology — that means less muffled calls and less background noise, as we mentioned. In addition to Sprint’s work on HD voice, HTC is making an effort to create a more intuitive experience with photography and video. That means designing a UI that allows users to take both video and still photos concurrently with on-screen buttons right next to each other — users don’t have to switch modes or decide between which one to use. HTC’s excellent eye for design and quality is in full-force with the EVO 4G LTE. Crafted from aluminum spaceframe in a gorgeous black finish, the device is already giving Nokia’s Lumia 900 hardware a run for its money. It’s thin, light, and comes equipped with a gorgeous 4.7-inch HD Super LCD display. And the fan favorite mutiposition kickstand is back. Now you can watch videos hand-free. Sprint has plans to roll out its LTE coverage to Atlanta, Baltimore, Dallas, Houston, Kansas City and San Antonio by mid-2012, so count yourself lucky if you’re amongst those markets. 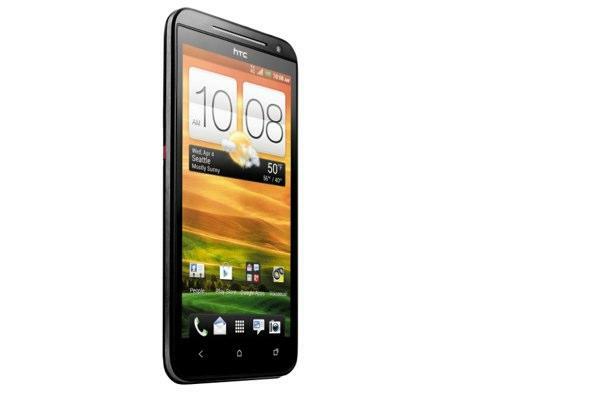 If our experience with the HTC One X is anything to go by, the EVO 4G LTE will absolutely be the device to get on Sprint. We already got a brief hands-on with the device at today’s unveiling, and we’re on the hunt for more, so keep it tuned here for all your HTC EVO 4G LTE coverage. Oh, and lastly, the EVO 4G LTE will be available for pre-order in May and will cost just $199.99 with a new two-year contract. Not a shabby price at all, if you ask us.